Vintage 1940s movie from Castle Films. From The World Parade series. Titled Florida Holiday. Film number 239. 8mm in original box. 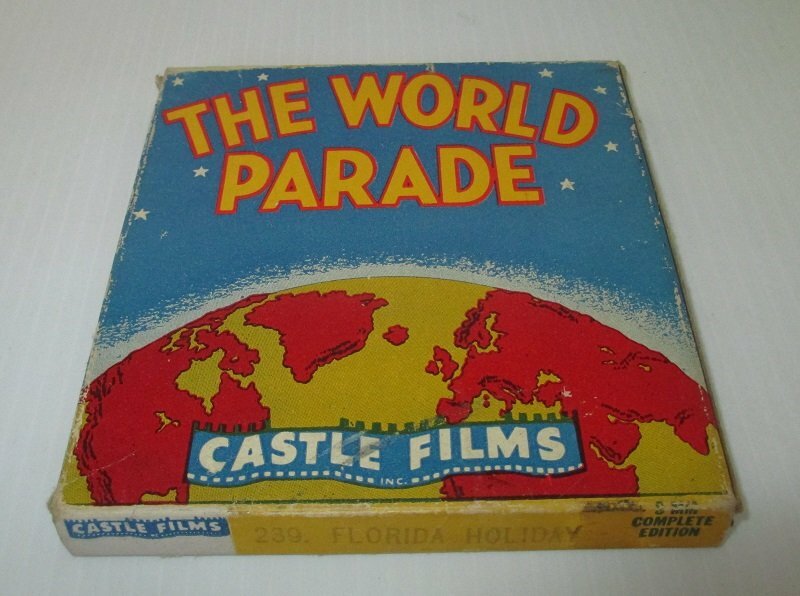 This Castle Films movie is from "The World Parade" series. It is titled "Florida Holiday" and is film number 239. According to the box, it is an "8mm Complete Edition" but it does not state what the running time is. The reel measures 5 inches across. It comes in its original very colorful box.